When I recently compiled an anthology of hymns, I was initiated into a genre known as “hymn histories.” I quickly became disenchanted with the genre. Authors paid scant attention to the texts of the hymns and quickly looked to the story about the creation of the hymn for inspiration instead. When I saw the title of Christopher Phillips’s book, I naturally wondered if this would be more of the same. My heart leaped when I quickly discovered that the focus of The Hymnal: A Reading History is an exploration of the hymnbooks that preceded our familiar hymnal. These were books containing the texts of the hymns without accompanying music. This evokes one of my favorite memories. I first made my way to England in 1977 with a college study group, and on our first Sunday in London we attended All Souls Church (an Anglican church made famous by John Stott). The hymnbooks in the pews were small five-by-three-inch books containing only words. I was captivated by the quaintness of the experience, made all the more memorable because on that Sunday morning we sang poems authored by two giants of English literature—George Herbert and John Bunyan. I’ve been trying to recapture the magic of that experience ever since. Once I understood the nature of Phillips’s enterprise, I took a closer look at the subtitle of his book: A Reading History. He doesn’t deal with the history of hymn-singing in church services but with the private reading of hymns as poems. I can’t imagine a more original approach to hymns for our generation. 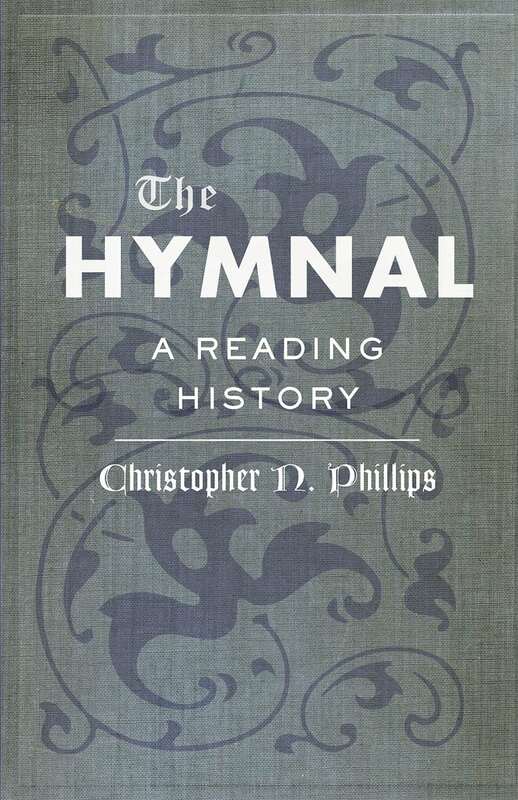 Phillips identifies his history as telling the story not of a singing culture but instead “the rise and fall of a robust reading culture.” In that tradition, hymns were poems first and songs secondarily. I can’t imagine a more original approach to hymns for our generation. The history that Phillips traces is largely pre-1870. During the 1870s, the hymnbook took the form of a song book—the written text set inside musical notations. Until then, what we know as hymnbooks might with equal accuracy be called books of devotional poems. These small, portable books were primarily books for daily use. They were the constant companions of their owners at home, school, and church. Johns Hopkins University Press (2018). 272 pp. $39.95. Christopher N. Phillips’s The Hymnal is the first study to reconstruct the practices of reading and using hymnals, which were virtually everywhere in the 18th and 19th centuries. Isaac Watts invented a small, words-only hymnal at the dawn of the 18th century. For the next two hundred years, such hymnals were their owners’ constant companions at home, school, church, and in between. Hymnals helped many people learn to memorize poetry and to read; they provided space to record family memories, pass notes in church, and carry everything from railroad tickets to holy cards to business letters. Hymnals were integral to religious and literate life. Once we get a picture of the ubiquity of these books, we cease to be surprised at the range of uses to which they were put. They provided space for family memories and were handy ways to carry rail tickets and letters. They were popular gift books. Paintings from various eras show that these books of poems were used in family and private devotions. Of course hymnbooks were also carried to church on Sunday, becoming a badge of identity by which parishioners showed they belonged to their religious community. American poet-physician Oliver Wendell Holmes was surely not alone in perusing his hymnbook when a sermon began to bore him. The Hymnal is primarily a history book, but the author isn’t a professional historian; he’s a noteworthy literary scholar who teaches English at Lafayette College. We can see the effect of this background partly in the choice of subject for the book—hymns as poems. But other touches also give the book a literary flair. English and American poets are regularly referenced in Phillips’s book. He doesn’t hesitate to call hymn texts “poems.” There is a chapter titled “How Poems Entered the Hymnbook,” and I will note by way of personal conviction that all hymns begin as poems, unaccompanied by music. A chapter is devoted to the hymnic qualities of Emily Dickinson’s poetry. The most notable feature of the book is the sheer quantity of data packed into it. The Hymnal is a triumph of research and scholarship. There’s so much data that the best way to appropriate the book’s riches is to read a small segment at a time. In correspondence with Phillips, I learned that he worked on the book over a span of eight years, doing research in some two dozen specialized research libraries. The great hymns are an untapped treasury of great devotional poetry. To read the hymns as poems is to return to a venerable tradition. It’s where the hymnbook began. A second noteworthy virtue of the book is its originality. The book opens a door into a world that I had never visited because I didn’t know it existed. Is there a corrective value in visiting this world? I believe there is: the great hymns are an untapped treasury of great devotional poetry. I hadn’t known until I read Phillips’s book that to read the hymns as poems is to return to a venerable tradition. It’s where the hymnbook began. If we ask how the hymns Phillips writes about can enter our lives today, there are four brief answers. In churches where the classic hymns are still sung, church members can exert their influence to keep this great tradition alive. We can listen to these same hymns in recorded form. Ministers who know the great hymns can make effective use of them by quoting verses and lines in sermons. Mainly, though, we can practice what the people described in Phillips’s book did—namely, find copies of the hymn texts printed as poems, and read them as a treasury of great devotional poetry. Leland Ryken is emeritus professor of English at Wheaton College, where he is in his 51st year of teaching. He has published more than 50 books, including The Soul in Paraphrase: A Treasury of Classic Devotional Poems and 40 Favorite Hymns on the Christian Life: A Closer Look at Their Spiritual and Poetic Meaning, a forthcoming anthology of hymns considered as devotional poems accompanied by analysis.